…well, anyway, here it is. Me reading a few hundred words of the latest Blaze! novel; the fifteenth in the series if you’re keeping track. I hope you enjoy it. If you’re interested, Blaze! Red Rock Rampage, is available for pre-order on Amazon Kindle now—at the unbelievable price of $2.99—and it will also be available in trade paperback. Its official release date is February 6, 2017. 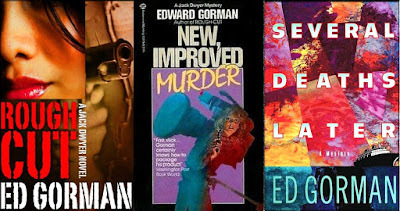 Ed Gorman was an underappreciated writer of commercial fiction. 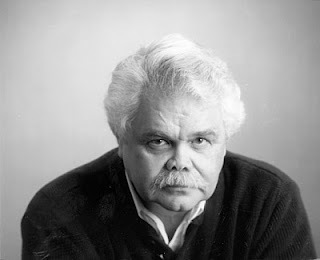 His novels are thoughtful, complicated and often illuminated with a bleak melancholy that never fully overtook the story due to an understated humor and a grudging admiration of humanity. Grudging because it was the humanity—weakness, ambition, sorrow, perseverance, strength—of his characters that both betrayed and buoyed them. Mr. Gorman died in October 2016 leaving behind a legacy of more than 150 published novels in a career spanning more than thirty years. He wrote in multiple literary genres, including crime and mystery, suspense, western, horror and science fiction. What is likely his last novel, Backshot (1902), was published in 2015. The following interview was conducted and appeared at Saddlebums in October 2007. It is annotated with additional detail about the books and stories that are discussed. The additional material is identified with brackets. The questions are in italics. I also conducted an interview with Mr. Gorman that appeared on this blog in October 2014. I’m impressed with your works overall diversity. You have successfully written in the western, mystery, horror and science fiction genres. Is there a specific genre you most prefer to work in? Mystery and suspense, I suppose. But I’ve worked in horror and science fiction with great pleasure. I wrote a lot of stuff for men’s magazines in the Sixties and Seventies. I could never come close to finishing a novel until I met Max Allan Collins who gave me two great pieces of advice—look at each chapter as a story and never look back until you’ve finished the book. Then worry about revisions. I finished Rough Cut and shopped it around. Agents felt that the narrator was more psychotic than the villain. I sent it to St. Martin’s Press where it was fished out of slush and bought. This was 1983. Probably around age eight. The nuns fed me Jack London and I discovered Ray Bradbury on my own. After reading those guys I never faltered in wanting to be a published writer. 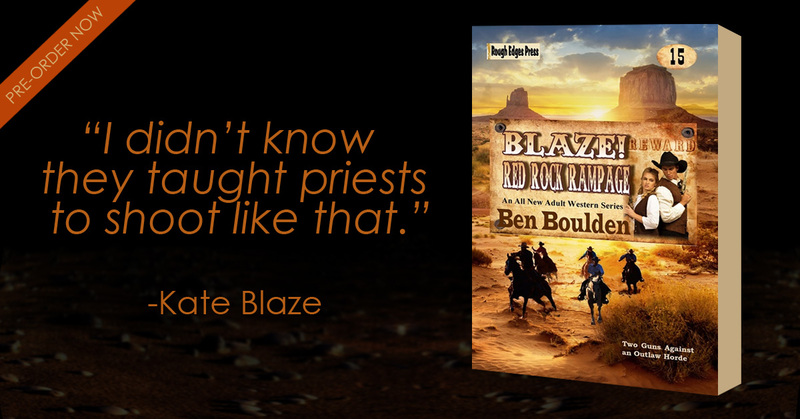 Most of your western fiction is non-traditional. You seem to use many of the same elements as one would find in a crime novel. Is this an effort to move away from the traditional western, or simply expand the definition of what a western is? 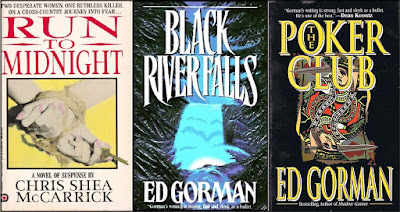 Do you think these novels would be more popular if they were marketed as a western mystery rather than a traditional western? I think you have to find a special angle to sell crossover books. Steve Hockensmith with Holmes on the Range brought something fresh and exciting to the crossover and has been very successful for doing so. Is there a book, or a few books, that you have written and are particularly proud of? 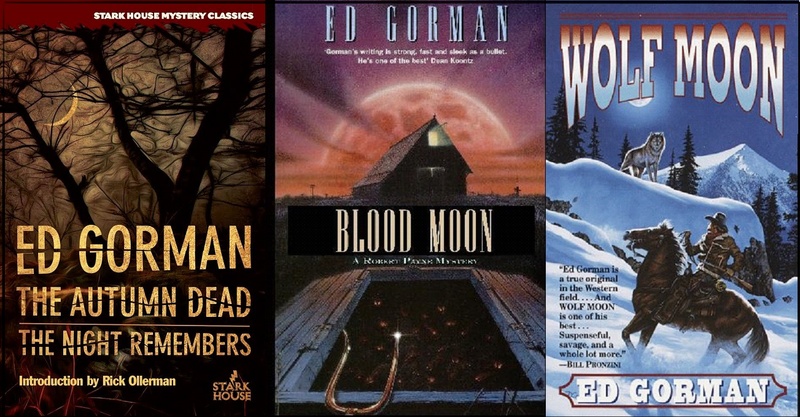 My favorites are The Autumn Dead, Blood Moon, The Night Remembers, and Cage of Night in suspense; Wolf Moon and Ghost Town in westerns. [Editor’s note: The Autumn Dead (1987) is the fourth (of five) novels featuring part time security guard, actor, and private eye Jack Dwyer. An omnibus edition of The Autumn Dead and The Night Remembers (1991) was published by Stark House Press in 2015, which included an Introduction I wrote. Blood Moon (1994) is the first (of four) novels featuring consultant and former FBI profiler Robert Payne. 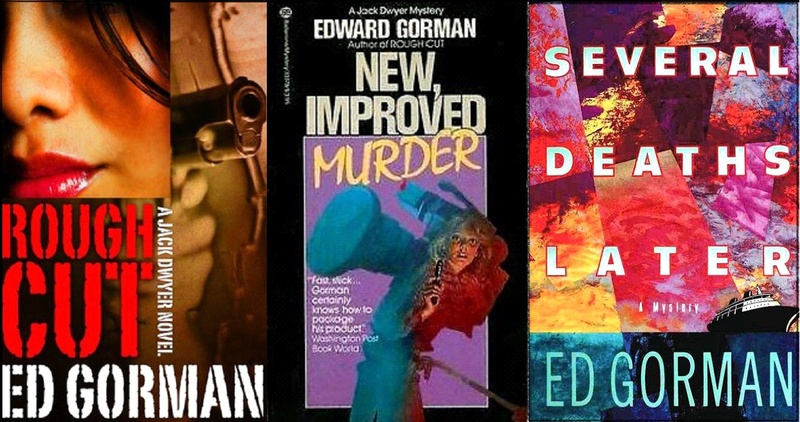 These novels are a mixture of suspense and crime and are some of Mr. Gorman’s most entertaining novels. The Night Remembers is the first and only novel featuring aging private eye Jack Walsh. Heavy—wonderfully so—on working class angst, it is one of Mr. Gorman’s most melancholy stories, which is saying something. It is included in the Stark House omnibus mentioned above. 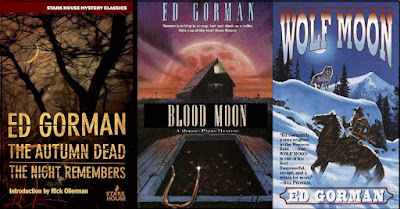 Cage of Night (1996) is Mr. Gorman’s best horror novel. An expansion of his 1995 short story, “The Brasher Girl,” it is a tightly developed masterpiece of psychological suspense. On my nightstand presently I have the Collected Short Stories of William Faulkner, Ten Stories from Detective Aces pulp magazine, a history of the Homefront during World War Two and a huge volume of the original Jonah Hex comic book stories by Michael Fleischer. Mine is the last generation that really grew up on westerns. I saw them in the theaters and on television and I read them in comic books and paperbacks. Writing them came naturally. I owe Bob Randisi a lot for first getting me published as a writer. What are a few of the western writers who have most influenced your work? Max Brand, Elmore Leonard, Loren D. Estleman, Clifton Adams, Dorothy Johnson would be a few of them. 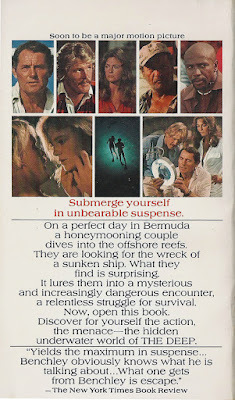 I’d bring back six or seven of the best Clifton Adams novels. You also write mysteries, and it seems there has been—both historically as well as today—a significant number of authors who do good work in both genres. Do you think there is a relationship between the mystery and the western that promotes this crossover, or is it simply the economics of professional writing? Again, I think it’s generational. You don’t find many—or any that I can think of—of the Thirty-somethings writing westerns and mysteries today. Loren is the last of the breed. He’s in his Forties I think. And he’s one of the all-time best, too. The mystery genre is thriving, but many believe the western is in decline. What do you think about the western genre today, and what do you think the future holds for the western story? I’ve been asked this a couple of times. I wish I had some wisdom on the subject. But I don’t. To me cops replaced cowboys. My current novel is Fools Rush In. This is my take on how small town Iowa responded to the Civil Rights movement of the early Sixties. 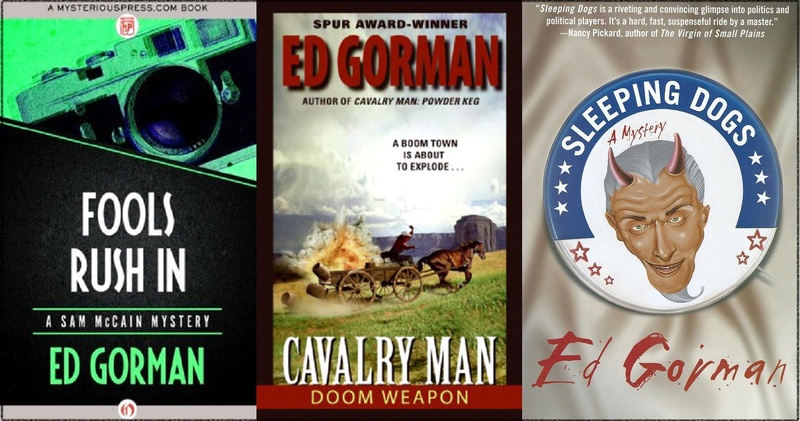 I have another novel called Doom Weapon, the last in my Cavalry Man series coming in paperback from HarperCollins. It’s probably out now though I haven’t seen a copy. In the Spring I have a St. Martin’s novel called Sleeping Dogs, a political whodunit. I used to write speeches for [a] congressman. Lots of anger in this book. [Editor’s note: Fools Rush In (2007) is the seventh (of ten) novels featuring small town lawyer and private investigator Sam McCain. 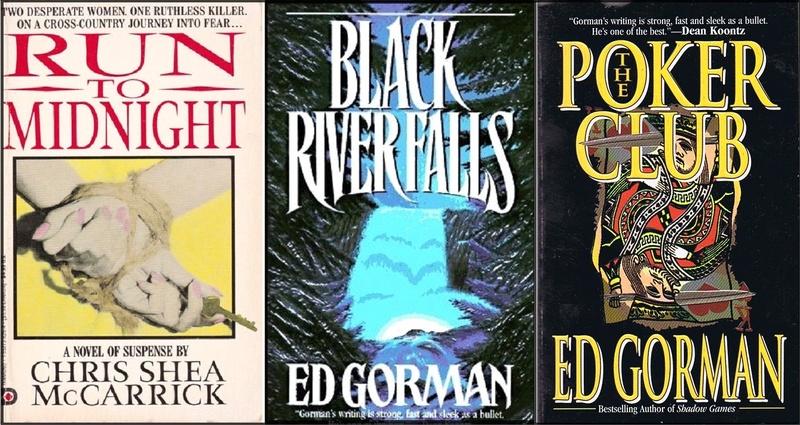 Mr. Gorman told me he planned to write another title in the series, but due to illness and then his death in 2016 it is unlikely we will ever see the planned title. Doom Weapon (2007) is the third (of three) novels in the Cavalry Man series featuring Federal Agent Noah Ford. These novels are westerns, but the stories and character always reminded me a little of Sam McCain, which is a great thing. My next novel will be in the suspense realm. I never talk about work in progress. [Editor’s note: This novel was the paperback original, The Midnight Room, published by Leisure in 2009. A serial killer story that departed from the standard—blackmail, revenge, class struggle—featuring a vividly rendered dark cast of victims and demented but uncomfortably human villains. That’s a good question and you know, I have no idea. My best stuff seems to have just happened without much planning on my part. I wrote three or four novels that were part of a Big Plan to increase the size of my audience. I think they were adequate, one of them I like, but somehow they weren’t as much fun to do as the work that somehow seems to get done on its own. The first review for my novel Blaze! Red Rock Rampage is in and I am very pleased. It comes from the terrific writer and critic Bill Crider—he writes the Sheriff Dan Rhodes novels among many others. Thank you for the kind review, Bill. 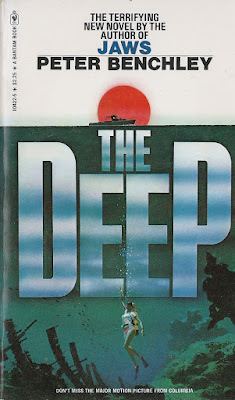 Thrift Shop Book Covers: "The Deep"
The Deep is Peter Benchley’s second novel, published as a hardcover by Doubleday in 1976. The Bantam paperback, published a year later, is the edition that caught my eye. A tie-in to the film, the cover art is reminiscent of the movie poster, but very much original to the book. A female scuba diver stretching towards the water’s surface where a boat awaits. Below, what appears to be the ribbing of a sunken ship. The artist: Unknown (to me, at least). The Deep, following the success of the film of Benchley’s novel Jaws, was filmed almost immediately by director Peter Yates with a screenplay by Peter Benchley and Tracy Keenan Wynn. 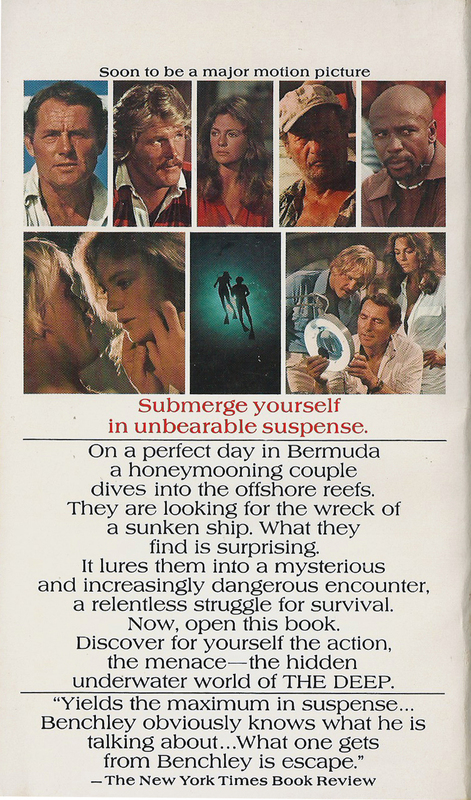 Nick Nolte, Jacqueline Bisset and the reliable Robert Shaw were the major on screen players. I have hinted a few times, here and at Facebook, that I was working on an exciting—exciting to me, at least—writing project. Well, today is the day I feel comfortable enough to make an official announcement. 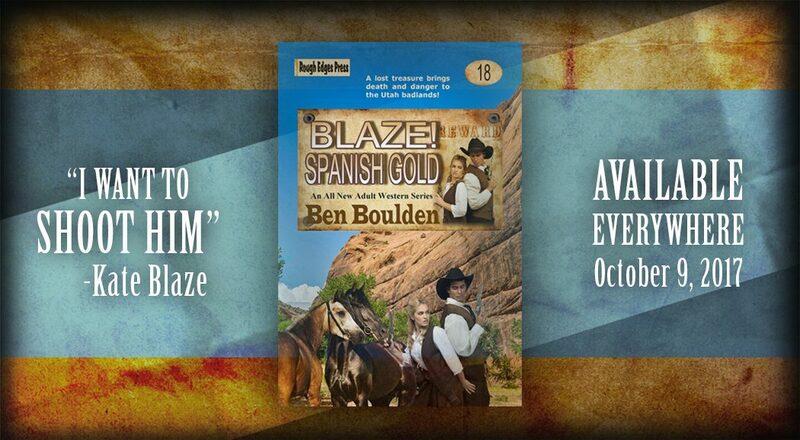 My first novel, the fifteenth entry in Rough Edges Press’ Blaze! 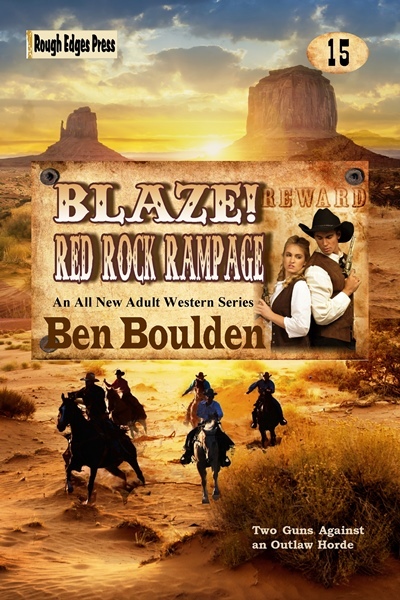 adult Western series, Red Rock Rampage is available for pre-order. The official release date is February 6, 2017. 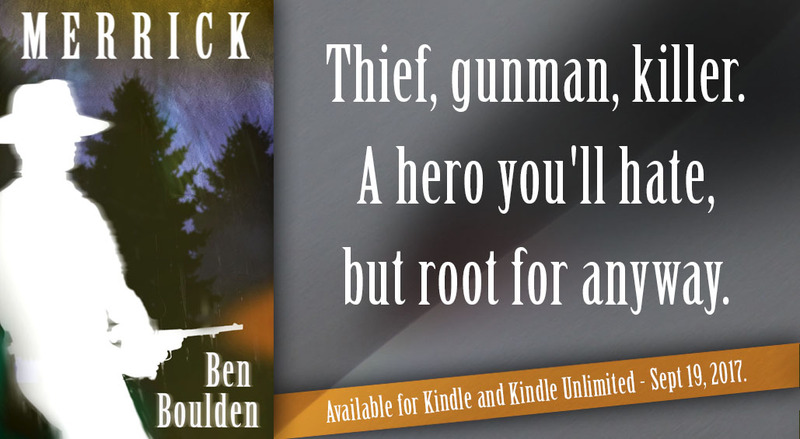 It will be available as both an ebook (exclusive to Kindle and also available through Kindle Unlimited) and a trade paperback available everywhere. Right now, the Kindle version is available for pre-order with the paperback edition to follow. The Blaze! 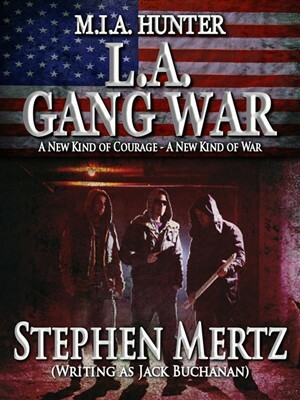 series was created by the talented and all-around nice guy Stephen Mertz and I am proud to be part of it. And my guess, as we get closer to February 6, 2017, I will have more to say about Red Rock Rampage and I hope you won’t mind. And if you read it, I sure hope you enjoy the adventure because I had a really good time doing the writing.